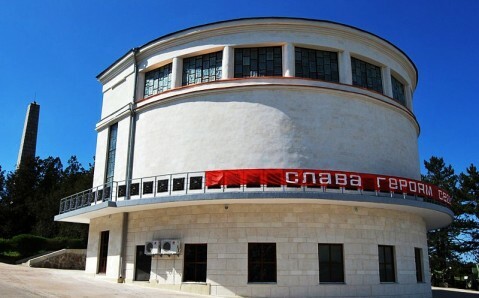 The Naval Museum Complex Balaklava is one of the most unusual and interesting museums on the Crimean peninsula. It was created in the early 2000s on the premises of the former top-secret underground plant engaged in repair and maintenance of Soviet Black Sea Fleet’s submarines. The plant was situated inside the giant rock mass on the Balaklava Bay western shore. The grandiose construction of one of the world’s largest secret military objects began in Balaklava, in the mid-50s, when the Cold War was in full swing. 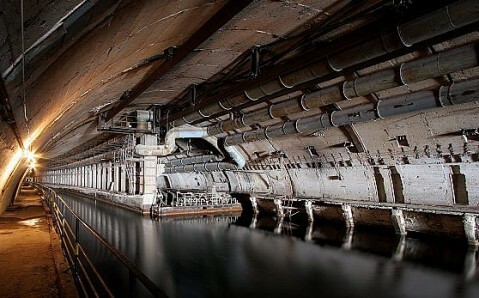 The large scale underground submarine maintenance and repair complex was a combined 600-meter-long deep-water canal. It was hidden under the 120-meter-thick rock and consisted of dry dock, repair shops, storehouses for torpedoes and other weapons, housing for the staff, command posts, anti-nuclear shelters and administrative offices. At the same time, each compartment was blocked by massive doors and gates made of steel with a concrete layer. 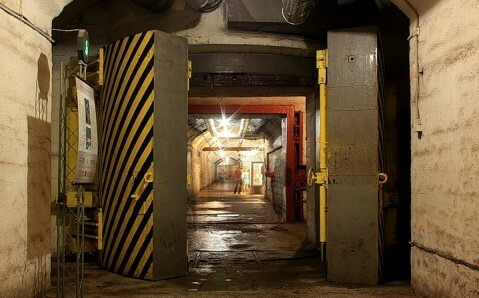 The Balaklava underground plant was able to withstand a powerful nuclear attack: its defense allowed for surviving a direct hit by a nuclear bomb of up to 100 kilotons, which is almost five times the power of the bomb that was dropped on Hiroshima. The plant had all the necessary life-support systems for thirty-day autonomous existence: ventilation, supply of food and fuel, water and electricity. The secret military facility worked right up to the collapse of the Soviet Union, and then, it lost its importance: submarines left the Balaklava Bay, and the complex itself was left without work, abandoned and ransacked. 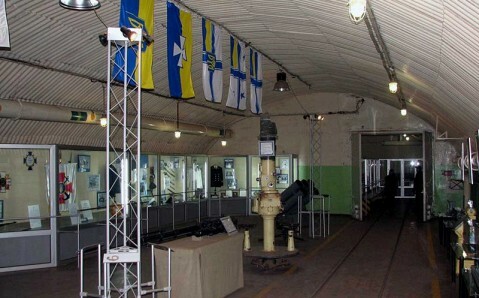 Now, plant’s galleries are turned into huge exhibition space, which houses several theme expositions that are joined in the Naval Museum Complex Balaklava. 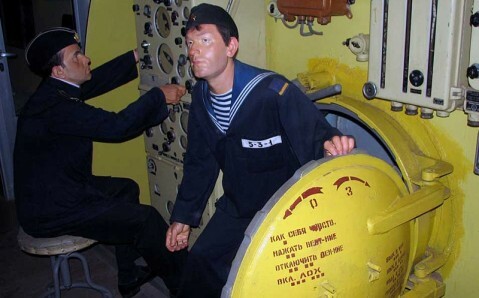 They tell the story of the Balaklava and the Navy, the USSR Black Sea Fleet’s submarine forces and the Cold War phases. 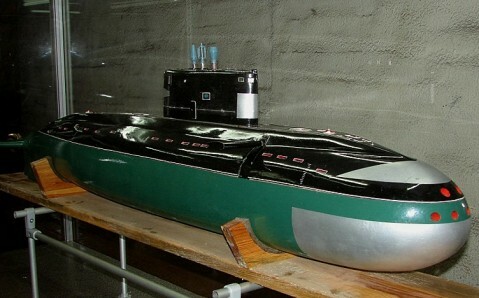 Models of warships, various elements of submarines’ armory, naval armaments and ammunition, memorabilia and unique documents are exhibited there. Staged exposition featuring submarine’s fragment and full-size figures of sailors and representing some point of a march is of particular interest. A separate exposition is dedicated to the events of the Crimean War of 1853 – 1856. It shows authentic rarities from philanthropists’ private collections: military equipment, uniforms, awards, samples of cold steel and firearms, maps of battles, personal belongings, letters of soldiers and officers, coins and household items. Getting here. 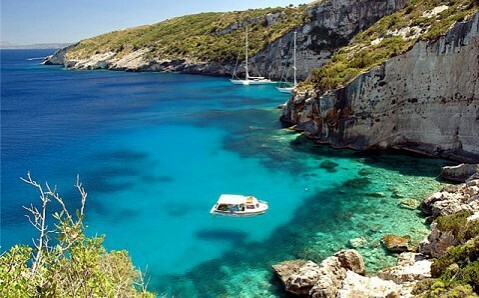 Get from Sevastopol bus station to the bus stop ‘Rynok 5 km’ and then, take a route taxi No. 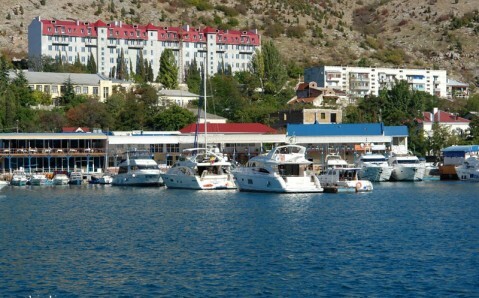 9 to Balaklava.